This is a short spaceship game made for the weekly hour game jam with the theme "No Pain, No Gain." As the name of the game jam suggests, this game was made in an hour. 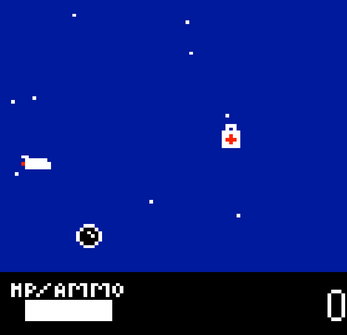 Use the arrow keys to move and space to fire. The white boxes with red crosses are health. I apologize that there is no instructions screen - I ran out of time.